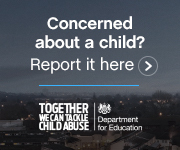 Below is a link to a computer program that you can use to monitor your children's use of social network sites, if they access inappropriate content or if strangers try to make contact with your child via the internet and vice versa. It can be usde for multiple devices in the home and you can have a phone app that alerts you to any unsafe internet activity in the house. Please find the latest newsletter below or alternatively vist Alan's website (http://www.esafety-adviser.com/) to find out further information.